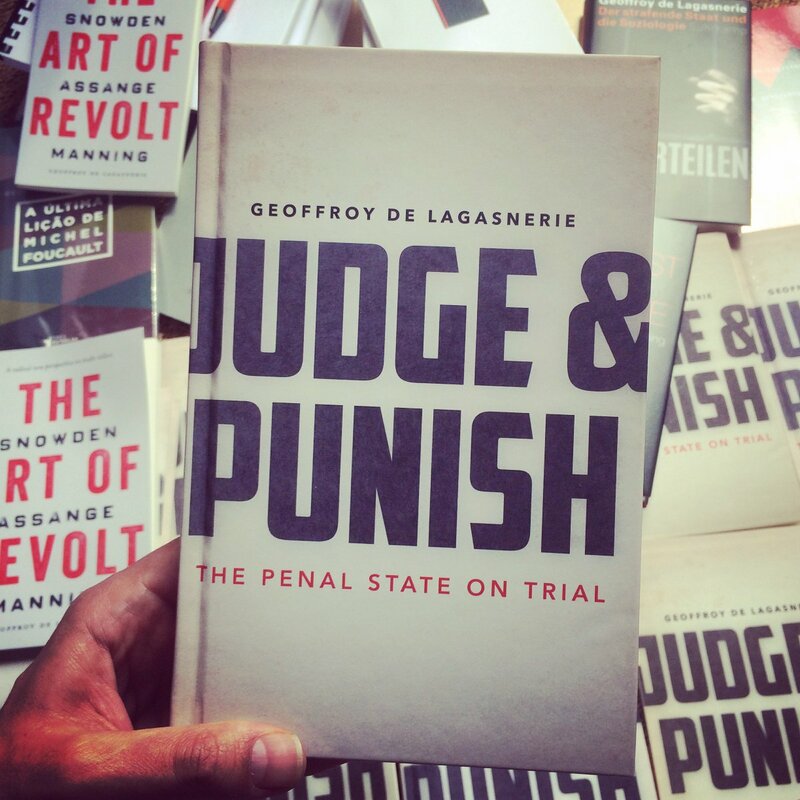 In Judge and Punish: The Penal state on trial, Geoffroy de Lagasnerie, makes a compelling social critique of the criminal justice system[i]. An entirely legitimate undertaking according to de Lagasnerie, given that the state (and the law) are not immutable substances which are given once and for all, but constructions subject to transformation and choice, invention, experimentation and creation, of historicity in other words (p.22). We cannot therefore accept the current forms and modes of the system of judgement as self-evident and irreproachable (p.25). Undertaking such a critique is our right. But besides being our right, it is also our duty, because criminal justice system, as de Lagasnerie shows, has an inherent violence embedded within its logic which can create extreme dispossession by “striking us at any moment” (p.39-40). Criminal justice is therefore an institution that concerns us profoundly. Although our ideas of justice seem to be written on stone, it has been possible in time and space, “by linking questions of justice to concerns either political or ethical to put into place unprecedented mechanisms that codified what it means to dispense justice in a new way” (p.25). As a scholar working on restorative justice, it was extremely refreshing to read de Lagasnerie’s work, because it reconfirms once again our constant and legitimate search for a different justice. Although he never mentions restorative justice explicitly in his book, it is possible to follow his analysis, while threading together the three core proposals of restorative justice[ii]: lifeworld, participation, and reparation. As de Lagasnerie points out, criminal justice constructs a specific interpretation and narrative of our actions and existences to the detriment of other possible modes of restitution, creating a violent disconnect with our true mode of existence (p.15-16). The law, as de Lagasnerie traces, concerns itself with abstractions such as ‘general good’ and the ‘great general happiness’ that no one has ever seen, felt, or experienced. He argues that punishment therefore implies a transmutation and transfiguration of actions, in which the acts through which individuals harm one another are converted into acts that harm all of society (p.157). Besides transmutation and transfiguration, according to him, the logic of punishment depends also on a practice of overdetermination, as “in criminal law, a crime is never in the end judged for what it truly is, but every crime or infraction, however ordinary, commonplace, or specific, is framed and then judged as a crime or offence against society, or the state” (p.170). Restorative scholars view criminal law and criminal justice also as conflict-reducing, depersonalising, and context-indifferent. Rather differently, restorative justice proposes to recognise the wrongdoer and the wronged in their individuality and social context (lifeworld) rather than subsuming crime in a general or abstract legal category, because justice, as Derrida writes, “always deals with singularities, concrete cases, and unique situations” (as quoted in p.190). The perception of an act of wrongdoing and crime as a real lifeworld interaction provides the ground for the involvement of those concerned and affected to enter a dialogic exchange, which implies the participation of those concerned and affected by the event to become part of the process. According to restorative scholars and practitioners, the best means of doing justice is through collaborative, deliberative and participatory processes, where each party can express affects, exchange information, and clarify and discuss ideas, norms, or solutions in a supportive environment. Thus, one of the grounds that restorative justice challenges the criminal justice is in its intimate architecture of delegation and therefore its sovereign legitimacy. Referring to Nils Christie’s Conflicts as Property, de Lagasnerie elaborates how ‘penality conveys a kind of state takeover of our lives’. The metaphor of Conflicts as Property has nourished the restorative movement, because it gave legitimacy to the restorative imagination to appropriate some of the main tasks of the criminal justice system. Once crime is viewed as a type of conflict, it becomes possible to argue for the parties to get back their own conflicts appropriated by the ‘thief state’. Christie’s ideas were grounded in challenging and reducing state’s interference in people’s lifeworld to the largest extent possible. This, as de Lagasnerie writes, does not mean moving backward toward systems of private justice but towards a democratic and pluralist conception of law and justice. This idea is radical because once we take back the conflicts, we dethrone the subject that was harmed and replace the state (as victim) with the real victim. And once we shift our attention to the real victim, we move inevitable away from the logic of punishment towards that of reparation, civilizing therefore criminal law. “Civil justice”, writes de Lagasnerie, “settles for organizing interindividual reparation for injuries caused by the criminal act in order to restore the initial situation, whereas criminal justice adds something, it reprimands the act and punishes the actor” (p.149). The most absurd idea on which punishment, as man-made infliction of pain, is based on, is the idea that we can weigh human pain and transform it in numbers. De Lagasnerie refers to this ritual of scaling in the courts as “social magic”, since it transforms crime into time and money (p.9). Noting the moment of judgement as a “social magic” he points out how this presumptuous transformation of harm that has been caused into punishment and expressed by the formula “therefore I give you such and such years in prison”, underscores in fact the impossibility of establishing such a connection (p.10). But we are truly obsessed with the ‘scales of justice’, searching endlessly for accuracy and precision while not finding any, because geometrical rigour and human activity in fact do not go together well. In restorative justice we do not have the arrogance to think we can measure pain and equate it with punishment, and deal with the irreversibility of human action. What is done cannot be undone, there is no equality of pain, and crime and punishment cannot be interchangeable. Scales and numbers matter also in another way when we think of punishment. The algebra of suffering writes Anna Messuti in Time as Punishment is Minus x Minus = More, Negative x Negative = Positive. But do we really believe that in order to get rid of suffering we need additional suffering? Something as complex and multifaceted as ‘doing justice’ cannot be reduced and measured to years in prison, and to suffering added to suffering. Restorative justice does not copy crime, it keeps it away. It can meet violence, but it does not use it, and therefore does not legitimize it, as has been argued often by Claudia Mazzucato. Restorative justice is therefore, what Grazia Mannozzi has called, “the justice without sword”, since it looks for an alternative to the violence perpetuated by the state through punishment, trying to break down the revolving doors of suffering. But de Lagasnerie’s critique does not only ‘confirm’ restorative justice. It also deeply challenges it, making his contribution even more valuable for restorative scholars. Back to the lifeworld where I started. Granted, restorative justice starts from the individual context. But does it go as far as to challenge the narratives and constructions produced by the criminal justice? Does it in fact produce a ‘social critique of justice and penality’ similar to the one de Lagasnerie calls for? So we are halfway de Lagasnerie’s proposal: crime for restorative justice scholars is not viewed as something against the state, but against the victim. We have therefore sufficiently ‘individualized’ the situation. But have we ‘socialized’ sufficiently the context and the solution? Restorative justice can be in fact be put on trial for responding to the immediacy of the conflict or harm without situating it in a broader framework, ignoring the fact that many instances of so-called criminal behaviour stem from much deeper and wider social problems. Currently most of the restorative justice practices are ill suited at bringing social justice at the core of the criminal justice system, because just like the penal state, it view individuals as independent and self-ruling, as autonomous individuals, responsible for their own fate and their own actions. Starting from an individualizing approach, it steers participation and reparation as key restorative governmentalities towards promoting a problematic notion of responsibility, which is in fact not very different from the one criminal justice promotes and which de Lagasnerie criticises. Instead of a notion of participation as a “do-it-yourself” or as participation in order to reach “pacification”, the notion of conflict-participation as promoted by Nils Christie, needs to be seriously reconsidered within restorative praxis. No “ideal speech situation” exists given that power relations are never suspended, thus the scope for restorative interventions must not be crafting agreement and consensus, but staging constructive expression of disagreements and dissensus. We have to move from an emphasis on the containment of social conflict to the nurturing and cultivation of social conflicts, by creating and staging forums of “endless processes of norm clarification”. A civil society cannot mean “civilised” in the sense of well-mannered and regulated conduct. In strong civil societies, distrust and criticism of authoritative action are omnipresent, moral outrage is continuous, because authorities and institutions inevitably violate the norms that civil society has for justice. The more democratic a society, the more it allows groups to define their own specific ways of life, and the individuals to select the form in which such groups are composed, and legitimates the inevitable conflicts of interest that arise between them. At the same time, participation must be promoted only if it elicits and enables types of co-responsibility of social actors and institutions, and activates the right resources and structures, not as a way of “do-it yourself”. Restorative actions therefore have to be linked up with the detection of social needs and vulnerabilities, and subsequent activation of the relevant structural frameworks. While restorative justice cannot be a panacea for social justice, it nevertheless should not fall into the same trap it aims to avoid, by isolating and individualising crime and responses to it. In other words, crime should be considered more than harm, but rather a social problem, closely related to other social conditions, for which not only one individual but the whole society is responsible. Individual responsibility, as Judith Butler writes in Precarious Life (pp.15-18), must be understood solely in light of its collective conditions. Instead of allowing the offender to claim the position of victim of social conditions as a rationale for wrongdoing, the imperative of the face to recognise its vulnerability does not excuse the offender’s act but rather calls for a “dual thinking” in which we condemn the violence but also ask how it came about. Only this dual thinking has the potential to promote a new order of responsibility for the social relations and conditions that enable violence and injustice to occur. Individual cases can be used as a “doorway” to explore underlying and intersecting issues and factors, which once identified might offer further confirmation that criminal processes might not be best placed to respond to them, but neither are dialogic processes alone. Such processes cannot offer alternatives to the socio-economic and other cultural factors which may give rise to complex social conflicts but can promote a reflection about them and ideally lead to new cooperative and transformative forms of social action and co-responsibility. But even when the sources of crime are largely structural, its effects are primarily personal, thus what is required is not an abandonment of approaches that address the personal dimension, but an addition of approaches that also address the structural dimension. The challenge for restorative justice therefore might be in developing the ability to maintain a balance between the specificity of an act and the immensity of the context in which it occurred. As de Lagasnerie elaborates, emancipatory intellectual endeavors must operate strategically: “Because the penal state individualizes causes in order to judge, critiquing the workings of the law requires us to reflect on the violent effects produced by that concealment of social forces. But because the state socializes interindividual actions and their effects in order to punish, we must contrast it with a vision that dismantles the perceptions by totalizing concepts such as society, collective consciousness, and the like” (p.181). This is in part what de Lagasnerie calls for, following Bourdieu, with a “state-based critique of the state”: diminishing and challenging the penal state while nourishing the social state. While restorative justice dethrones the penal state, it has to rethink the role of the state (in offering social protection), and defend strongly its welfare institutions, otherwise restorative justice has no future as an idea of doing justice, since its core elements -when conceived radically-, rely on a relational, interdependent, and strong network of caring hands. In evaluating the potential of the restorative process we can ask about the extent to which it has staged and communicated contradictions and clarified different social norms and values among the members of a community; the degree to which it has unblocked dialogue and challenged the silence or the monologising forces and voices; the degree to which it has uncovered inequities and conditions which might have generated the conflict; and its effectiveness in creating collective actions that aim to challenge the status quo, while strengthening future cooperation and solidarity. We must move towards the paradoxical notion of restoring the future – making arrangements for better living together – which entails often a radical reconfiguration of social dynamics, based on creativity, commitment to the future, and ambivalence and unpredictability, nourishing a capacity to imagine as de Lagasnerie calls for, that which does not yet exist. [i] This piece was written for a special issue of the TOA magazine which concerted a debate with abolitionist and restorative justice scholars and practitioners on “Judge and punish: The penal state on trial”. 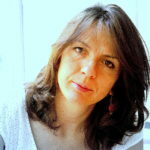 [ii] I follow here and elsewhere Christa Pelikan’s “three core features” characterisation of restorative justice.